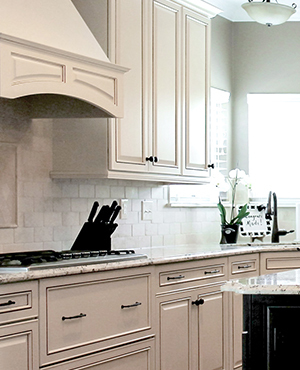 For decades, homeowners and builders throughout the St. Louis area have trusted Signature Kitchen & Bath for all of their custom kitchen cabinet needs. Signature Kitchen & Bath in St. Louis carries 13 different kitchen cabinet lines to choose from for your next kitchen remodel. 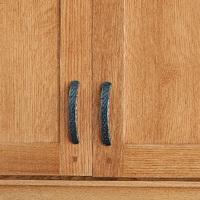 Each cabinet line provides their own unique style and finishing technique. From painted to vintage to burnished, Signature Kitchen & Bath has it all. While you're welcome to choose whatever style and finish of cabinetry that you'd like, our designers are also available to assist you. With years of experience and knowledge of the latest trends in the design and remodeling industry, our team can help you select cabinets to meet your specific design or aesthetic tastes. From there, we can help develop a personalized plan and budget for your new kitchen cabinetry to ensure your project runs smoothly. 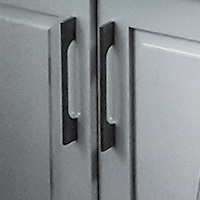 Putting your design needs and budget aside, when you work with Signature Kitchen & Bath you can feel confident that we will have the right cabinets for your home or business. We also strive to give our customers the options, guidance, and service they need to have a successful kitchen remodel. In fact, our LAMI Signature Series is made in-house at our 80,000 square foot manufacturing facility in St. Peters, MO and can be customized for ANY COLOR, ANY SIZE, and ANY WOOD or LAMINATE finish. 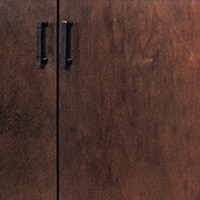 Whether you’re interested in a full cabinet replacement or simply refacing your cabinets, we’re here to help you. Contact us today to set up a free design consultation.